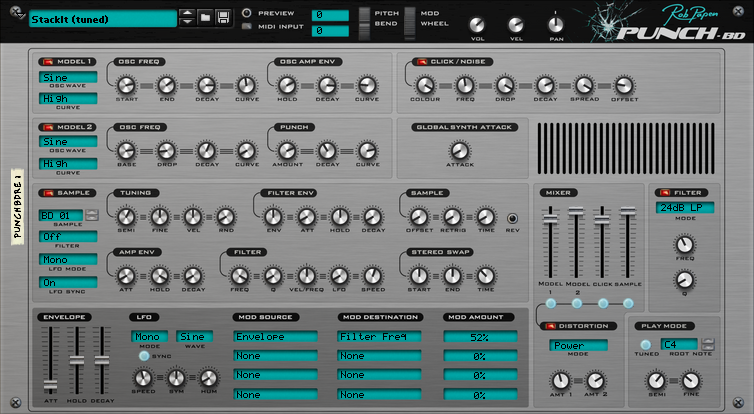 PunchBD-RE is a versatile and easy to use bass drum synthesizer for your Reason Rack. 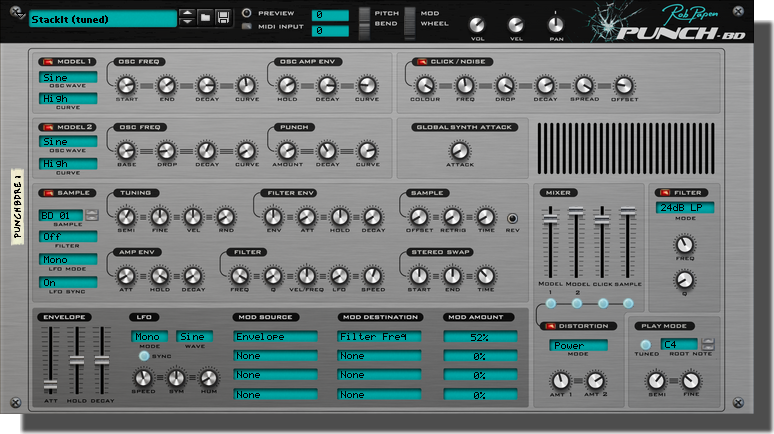 With PunchBD-RE you get two modelled synthesizer drum modules, a click/noise module and a sample module to help you shape the main beat for your productions. From Dance and electronic and Hiphop to soundtrack. PunchBD-RE has it covered. With further filters, envelopes, modulation routings and CV on the back you can take your bass drum sounds one step further to provide a solid sound to your productions. The bass drum is an essential part of building a track and this is where PunchBD-RE will deliver!